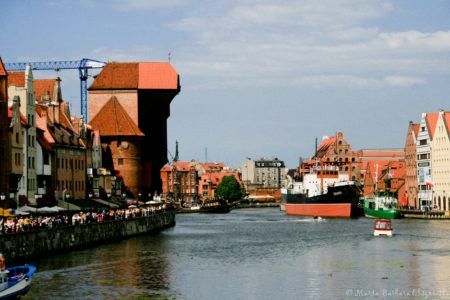 Gdańsk, the birthplace of the Solidarity movement, a Hanseatic port City has for centuries been Poland’s gate to the world. Embark on a trip to Gdańsk, which will let you visit the most charming of the cities lying by the Baltic Sea! Once you arrive to Gdańsk take a step back in time and visit Westerplatte, where the first clash of the Polish and the Nazi forces initiated the Second World War. See the Monument erected to commemorate the event, a lonely pillar towering above the horizon. Then take a step closer in time, but stay still in the past while entering the Gate of the Gdansk Shipyard, which witnessed strikes and celebrations launched by the Solidarity Movement in the 80’s. Imagine Lech Wałęsa speaking to the angry crowds. Move gently to the Old Town area. Pass the Coal Market (Targ Węglowy), but do not miss the Museum of Amber there! Go through the richly decorated Golden Gate and you will enter the Long Market leading to the Green Gate. Look around to admire the Artus Court, a meeting place of merchants and a centre of social life, whose hayday falls into the 16th and 17th century. Try to spot as well the colorful Dutch House (Dom Holenderski) and have break by the Neptun’s Fountain. Last but not least, visit the Basilica of the Assumption of the Blessed Virgin Mary, the largest brick church in the world! Extend your stay and have a rest in Sopot. Stretch your legs while having a stroll along the pier (the longest wooden one in Europe!). Have a lunch in the fisherman’s hut. Or maybe you still have enough strength to drop by Malbork? If you choose so, you will have an excellent opportunity to see the Gothic Malbork Castle, a former brick fortress of the Teutonic Knights and the biggest brick complex in the world. You choose! The above-mentioned program is created on your request and price is set according to the range and standard of the services you choose.